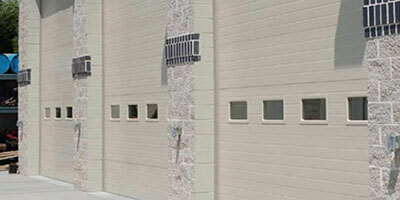 Commercial Garage Doors | CW Garage Door Distribution LLC. For commercial applications, toughness is the name of the game. 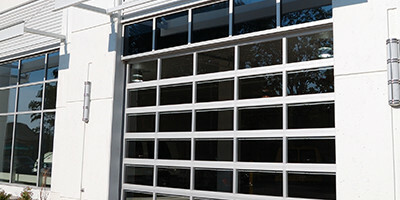 Because commercial garage doors see a lot of action, they need to be durable and long-lasting. CW Garage Door’s tough, heavy-duty C.H.I. Overhead Doors are built to hold up to the necessary higher volume of commercial operation - so you can rest assured they’ll be around for a long time to come. C.H.I. 's ribbed steel doors offer a traditional and time-tested design that will provide you years of reliable and worry-free use. When your project calls for a door that provides dependability and stands up under the rigors of daily use, choose from our line of non-insulated ribbed steel doors in a variety of gauges and product features. Our micro-grooved sandwich models are constructed in a variety of gauges and are available in both polyurethane and polystyrene insulation options for those applications that demand the best in thermal efficiency and value. And, if you’re looking to enhance your buildings aesthetics, our sandwich doors are available powder coated in over 188 different colors! 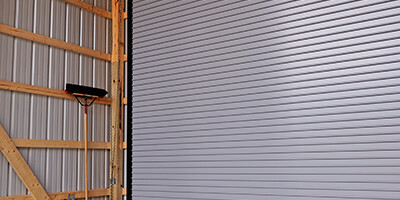 Rolling steel doors typically have a long life and low maintenance costs. C.H.I. Overhead Doors manufactures industrial rolling steel doors, coiling Fire Doors, Fire Shutters, Counter Doors, Grilles and Side Folding Grilles to exceptional standards of quality. Our promise is to deliver affordable, owner-friendly rolling steel doors that are reliable, architecturally pleasing and simple to maintain. CW Garage Door also has a first-class selection of garage door openers for your commercial needs. Feel free to contact us for more information on any of our commercial garage door products.